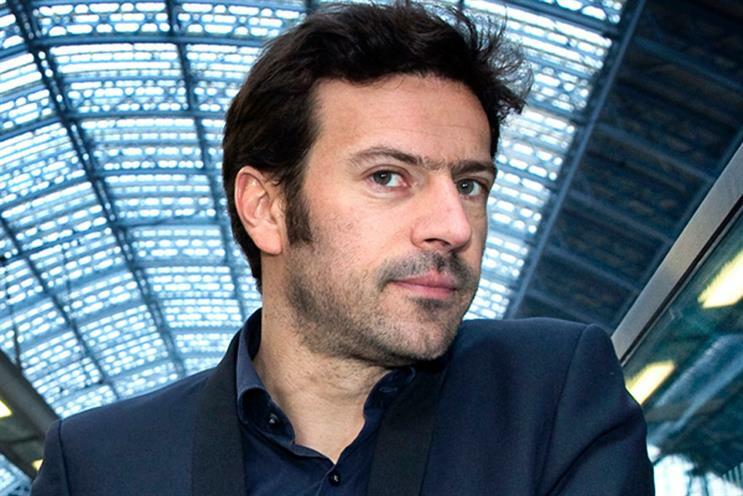 Eurostar's Lionel Benbassat is on a crusade to make marketing good and more meaningful and, he says, a data-led future will help marketers on their way. It’s 28 January and I thought I was going to be writing this from my hotel room in New York, but it was not to be. I never actually left London as my flight was cancelled. Juno, the blizzard storm, was due to freeze the city on the very afternoon I was due to take off. Can’t beat a Roman goddess, I suppose. Nonetheless, the episode brought two things to my attention. First, how the footprint of the Eurostar brand has grown since I joined in 2004. So much so that the US market now represents close to 10% of our turnover, which means we need to appoint a local agency to maximise the potential of the market – hence my trip to New York. The second thing was how vulnerable you feel as a passenger when things don’t go to plan, and what a great opportunity this presents for a business to show how it can help customers when they need it most. Earlier in the month, I was helping our travellers at St Pancras when our services were disrupted as a result of major problems in Eurotunnel. These events happen and – rather like the blizzard storm – they are never predictable. As a high-speed train operator, while we can’t resolve the infrastructure problems in the tunnel, it is our responsibility to look after our travellers who rely on us. Clearly, I would much rather that our customers didn’t have to suffer disruption, but it is rewarding to be part of a company where everyone helps out in this kind of situation. I like being in direct contact with our passengers, especially in difficult circumstances. That’s where I learn the most. There’s nothing like first-hand feedback. It is when you are in a situation like this that you are reminded that customers are individuals, not ‘segments’, as marketers are too apt to call them. This is obvious, but the marketing discipline has taught us to categorise, bundle needs and create offers and campaigns for the many, because that is how you make sense of an audience and build efficiency. While that might have been the case in the past, that’s history, and we are starting to see something of a marketing revolution. This is why a big part of my month has been dedicated to understanding how Eurostar can embrace that revolution and develop a more personalised relationship with its customers. So I have been meeting software providers and discussing data architecture. What has become clear is just how powerful a strong data-set coupled with user-friendly software can be. At the risk of sounding like a crusader, I started to work in the discipline because I was conscious that marketing is everywhere and can be intrusive – and we, as marketers, have a responsibility to make it good and meaningful. So, to those customers who worry about intrusion, the increased volume of information and the omnipresence of media, I say stop worrying, because in a data-led world, we can deliver better marketing, which is less intrusive, more personal and more relevant. Marketing, via banner, email or tweet, can be informative, entertaining or problem-solving – particularly, for example, when customers face travel disruption. That’s when a simple tweet or clear communication can make a bad situation much better. As it stands, this change is under way, although I recognise that it’s not going to happen overnight. Something that is much more imminent, and keeping me and my team busy, is the launch of our direct service to the South of France on 1 May. Ticket sales have got off to a great start and we’re about to launch an above-the-line campaign in March: good old-fashioned billboards, in this case. You won’t miss it: it will shine. So get your tickets to Lyon, Avignon and Marseille now, before it’s too late. Without trying to be too profound, I think we are at a crossroads in marketing. I don’t believe that ‘segment-led’ campaigns or traditional media are dead, but the questions we now have about big data and the role of digital versus traditional media will soon be a thing of the past. Irrespective of the approach we are taking, the foundations remain the same – we have to focus on delivering meaningful, relevant communication which is valued by our customers. If we achieve that, then my crusade will be over.